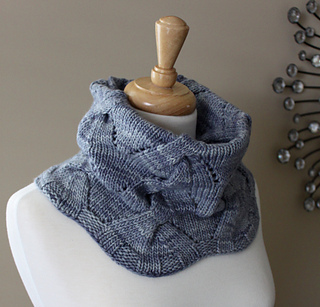 This soft and squishy cowl is made up of large cables that are easy to work. 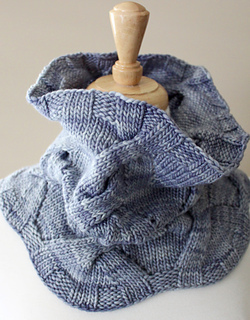 The stitch pattern keeps it interesting and a worsted or aran weight yarn and US size 9 needles make it a quick project. 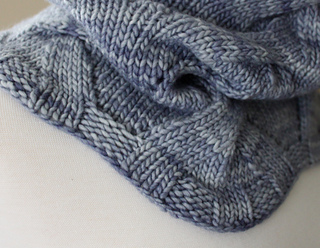 It uses every last bit of yarn in one skein (210 yd or 192 m) of Malabrigo Merino Worsted (shown here in Polar Morn), so plan accordingly! 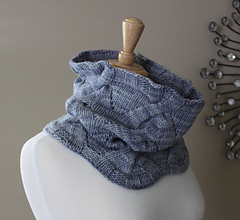 This cowl is worked in the round on a circular needle in one piece. 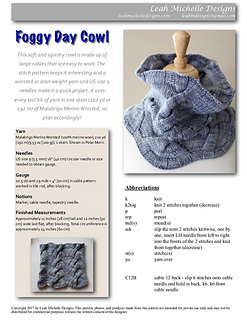 Pattern includes list of abbreviations and the stitch pattern is both written and charted. 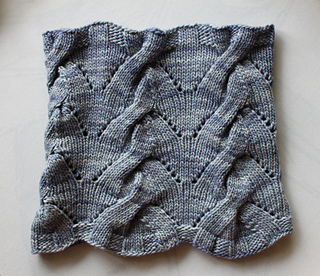 Finished measurements: Approximately 11 inches (28 cm) tall and 12 inches (30 cm) wide laid flat, after blocking. Total circumference is approximately 24 inches (60 cm). 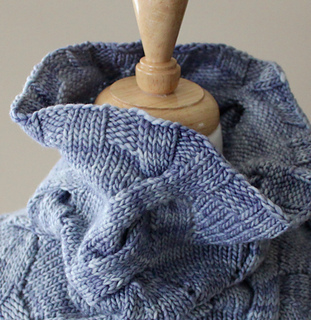 Skills required: knitting in the round, cabling with a cable needle. Stitches used: k, p, yo, ssk, k2tog, C12B (cable 12 back).